The Economic Growth and Tax Relief Reconciliation Act of 2001 was hailed as the death of the dreaded estate tax. The battle was long and hard, but well fought. People wrote to their Congressmen, prodded their organizations to support the bill, and generally made a lot of ruckus. Many have lauded the demise of the death tax. Yet to paraphrase Samuel Clemens, the reports of its demise are somewhat exaggerated. The act in question merely provided for ten years of exemptions from the estate tax, it did not repeal it. As of this year, the law exempts the first $2 million of an estate for an individual, or the first $4 million for a married couple. Meanwhile, it levies a hefty 45% extortion on all amounts over the magical $2 million mark. But it does completely disappear in 2010, doesn’t it? In fact a bevy of politicians got elected on just this premise. As usual, no one bothered to examine the fine print. Most observers surmised that this cumbersome tax had been abolished – when in fact it is only a ticking time bomb, with a fuse set to explode in just four years. It seems that whenever Congress passes an onerous law that puts an undue burden upon us, it stays on the books until we fight to have it repealed; in the rare instance where we get them to repeal one of these ugly laws, they include a trap door. So now, We the People are going to have to lobby all over again one the reverse sunset clause takes hold and the trap door falls. This piece of legislative trickery calls for the inheritance tax to be restored automatically in 2011. How could it be worse than that, you may ask? Well, it is worse because it comes back with a top rate of 55%, and an estate exemption of only $1 million. In case this is all news to you, let us attempt to explain. The federal inheritance tax is assessed against the remaining property of someone who dies. This tax is paid for the mere ‘privilege’ of transferring one’s property to the surviving heirs. If, however, a property is transferred during the donor’s lifetime, it is generally not subject to the estate tax (with a few exceptions). Since the amount of the tax depends on the value of property that is owned at death, it makes sense to pay attention to that value during life. The estate tax can be significantly reduced or even totally eliminated by careful planning. For the purpose of this discussion, we will be focused on the value of a coin collection or holding. The first factor that one should consider is that coins are a type of asset that can be given and held in trust for a lifetime. The coins that you purchase for your children, even if they are in your possession at the time of death, are still the property of your children and not subject to inclusion in your estate. Most alternate planning methods do not escape the estate tax. They simply provide a means for the heirs to have the liquidity to pay the tax at the time of death. 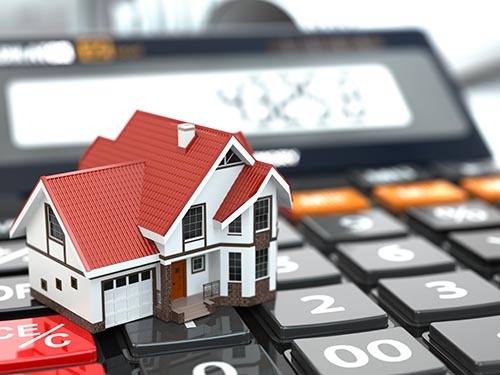 It is very important for those whose primary wealth is in real estate or stocks to engage the services of an estate professional, otherwise the heirs may face the unfortunate situation of the estate tax forcing the sale of these assets at an inconvenient time. One method to deal with this liability is an Irrevocable Life Insurance Trust. The parents give the heirs the money to buy life insurance in an Irrevocable Life Insurance Trust. In this arrangement the payout on the life insurance is free of estate tax and can be used to pay any tax due. A Charitable Remainder Trust is useful on extremely large estates. The largest asset is donated to a charity who then sells and invests the proceeds. The investment income buys life insurance but the principal goes to the charity upon death. The heirs receive the full amount as well, in life insurance proceeds. Most large charitable gifts are the result of this strategy. It is questionable whether these charitable practices would continue in the absence of an estate tax. It is my bet that charitable giving will hit a low point in 2010, when the estate exemption is total on all estates. Furthermore, planning around estate taxes creates a disincentive to liquidation, divestiture, or retirement. Donors may instead decide to reduce risk by using tax avoidance such as trusts, and tax free investments. Most people do not understand the consequences of leaving these inheritance issues to their heirs to sort out. As a result, an estate worth $4 million with 2 heirs would pay over $1 million in federal estate tax. This high transfer tax rate has prompted many wealthy individuals to make gifts during their lifetime, using the logic that paying a gift tax on the amount transferred is still less costly than including the gifted amount in their estate. In fact, the estate tax can result in double or even triple taxation. Double taxation would clearly apply on earned income, supposing someone is still working on their death. No matter what action you decide to take – do not allow the estate tax to diminish the value of the property you leave to your heirs. The worst thing you can do is nothing. With inflation progressing at its current level, many Americans will easily hit the $1 million mark in real estate alone. Having a portion of your wealth denominated in select rare U.S. coins will provide the perfect intergenerational wealth transfer tool.